Fitted cut. Drop shoulder style. Brushed fleece backing. Taped neck. Contrast lined hood with contra..
Fitted cut. Drop shoulder style. Brushed fleece backing. 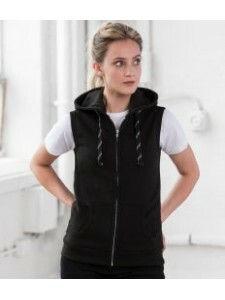 Jersey lined hood with flat drawcord. Taped..
Ladies fit. Drop shoulder style. 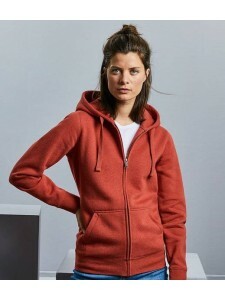 Double fabric hood with self colour flat drawcord. Narrow full leng..
Girlie fit. Drop shoulder style. Soft cotton faced fabric. Double fabric hood with self colour drawc..
Girlie fit. Soft cotton faced fabric. Double fabric hood. Self colour contrast drawcord (with silver..
Air jet yarn, softer feel and reduced pilling. Drop shoulder style. Semi-fitted silhouette. Hood wit..
Ladies fit. Raglan sleeves. Hood with self colour flat drawcord. Full length covered zip. Shaped sid..
Drop shoulder style. Unlined hood with grey flat drawcord. Full length covered brass zip with grey t..